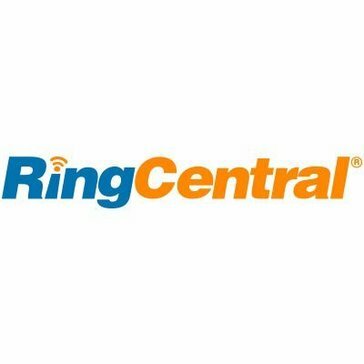 Work for RingCentral Contact Center? Learning about RingCentral Contact Center? How it integrates into Salesforce. Also, how it operates as a cell phone app and desktop app. I like how the voicemail had caller ID. Prefer mobile app over desktop app. We are working on having it log our calls in Salesforce but not quite there yet. I think we would be a little skeptical based on how the calls log our voicemails right now. Definitely a neat feature! The Salesforce integration is a bit trickier than imagined. Read through white pages and forums. Took about a day to find an answer I was looking for. I don't like their voicemail's typed out messages. Almost always wrong. The connection wasn't great calling through the mobile app. I don't like that the desktop app and salesforce integration both need to be open at the same time. I thought the integration would get rid of the need for the desktop app. Had to play around with the call ques for a while to make sure they were working. Don't always feel we can trust the system - this is more an opinion than a fact. Know your infrastructure. If you are a growing company than RC may not be the best choice. If it is small shop and uses Salesforce extensively, could be useful to you. Reddit provides a lot of good feedback. The manuals are helpful to a point but had to read forums to get more answers to the little bugs in the system. Being able to see incoming calls while we work in Salesforce. Recording and logging those calls. Taking away less work while documenting. Not having to leave the desktop to call out. Being able to record calls better. Also, routing them to appropriate teams. "Love the app and that I can take calls anywhere"
I love that this software allows you to take calls on your mobile phone through the app. I can work remotely from anywhere and my staff can call me anytime. I can also check out the live reports and see the queue activity and what my team is up to. I do not like that the live report aspect sometimes is inaccurate. It often times tells us that we have calls holding when we do not in-fact have calls holding. We have reported this to their support team several times and it has not been resolved. I would recommend RingCentral Contact Center for your phone solution. They have an easy to use app, easy to navigate admin website and you can get your calls on your cell phone or office phone. It is a complete phone system solution for us. We use it for several queues and direct lines within our company. We are using this as a part our overall CRM solution. "Good call program for beginners"
I like the fact that you can hook it up to your Zoho CRM account so that it's easy to call certain leads, without having to type in the number manually - risking error. Also like that you can text from it and it keeps all of your records. I do not like that the caller ID only shows up for incoming calls and some voicemails. On your call log & missed call log - all it shows are numbers. Utilizing the fact that you can choose what caller ID you are calling from is very beneficial. Also having your own personal like to make calls, send messages and receive calls & messages, is very helpful as well. Letting each employee have their own contact number. It helps maintain more personal relationships with prospective clients. "Has a lot of bugs but is on the right track"
Make sure you fully understand how to set up your settings before going live. There are a lot of "standard" settings that don't make sense in our business anyway. Can call clients without giving out our personal cell phone numbers. Can text from my computer through the desktop application. "Must use an IT guy"
I like that I don't need to log into my voicemail on my phone and I can just look at my computer to see who has left a voicemail and the voicemails are computed from oral to written form. We get calls forwarded from an initial tier and the callers identification doesn't follow from tier to tier. I dislike that voicemails are not always accurate so you may have to listen to the voicemail and that calls can't be made successfully (based on our set up) from the computer to our headset. Quick voicemail checking from our clients who need a quick turn around. We have a high call volume. "Not the best connection "
I like that you can sync your ring central to your cell phone and use the app to make and receive calls and text messages. I do not like that there are so many connection issues. I get a lot of complaints of people not being able to hear me and bad connection even though I am hardwired in and have a perfect connection. Able to take calls when I am away from my desk through my cell phone and able to always be accessible to my candidates and clients. "Wonderful option for support calls + syncs with other services nicely"
It integrates with Excel or Zendesk very easily (will either comes in as an Excel email or a ticket in Zendesk), calls sounds very clear, and it's overall pretty easily to navigate. Transferring can be a pain in my opinion. It's just more convoluted than it needs to be. I wish it has some more idiot proof and simple way to do it. Customer support. It makes international support SO much easily via the phone. "Solid Features with Customizable Options"
The inContact Studio allows you to customize your call/email/chat queues as needed for your business. There are some features that are lacking (saving chat transcripts to external sources), but most of them appear to be in development of some sort as they are rolling out updates fairly frequently. We use the email queuing to allow us to view SLA and KPI achievement on even the smallest queues. This allows us to have company-wide accountability. Easy to create and manage groups/extensions. No round-robin option available for use on iPhones. This makes it difficult to evenly distribute calls. Consider what type of devices you will be using - I believe that many of our difficulties are caused by using cell phones as opposed to landlines. Many features that we would like to utilize are not available for mobile phones but landlines do not work with our business model. The recording feature makes it easier to monitor and QC calls. While you can listen to these recordings without downloading the, pausing the recording will cause it to restart from the beginning when you resume. This is annoying when normal interruptions occur. The app does make answering after hours calls pretty easy. "Ring Central has improved my business "
I like that my entire company can use this software on their computer or on their cellphones. I dislike the updates, sometimes we have issues afterwards. We are able to communicate more efficiently and get more done. I like that I was able to replace gotomeeting with the built in meeting place. I also like the monitoring ability. I liked the bells and whistles. Being able to easily send a fax or text was great. I didn't like the call monitoring. It was very choppy and not easy to use at all for a manager. I find ring central to be very user friendly and a convenient one-stop application for communicating. Sometimes my phone calls will get dropped or I will get disconnected from a meeting. A convenient method of communication. * We monitor all RingCentral Contact Center reviews to prevent fraudulent reviews and keep review quality high. We do not post reviews by company employees or direct competitors. Validated reviews require the user to submit a screenshot of the product containing their user ID, in order to verify a user is an actual user of the product. Hi there! 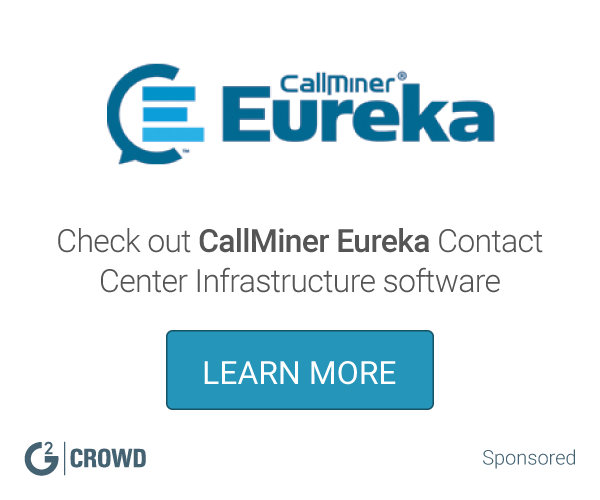 Are you looking to implement a solution like RingCentral Contact Center?